The Specific Carbohydrate Diet (SCD) is a diet used to manage symptoms of Inflammatory Bowel Disease (Crohn’s disease and Ulcerative Colitis) and other conditions such as coeliac diease and diverticulitis. The bible of SCD was written by the late Elaine Gottschall entitled: “Breaking The Vicious Cycle”. The basic premise of the book is that people with the above bowel conditions cannot digest carbohydrates well and so recommends a diet free from: gluten, grains, lactose and refined-sugar. As a trained biochemist, Elaine describes in detail in the book why certain foods are difficult for those with IBD to digest. For more information on the book and how to order it, click here. I’ve made a list of ten important steps you can take when beginning the diet as I would have found this helpful myself. Starting SCD can be a lonely place. Hopefully, this blog will help you feel supported. 1. Order the book “Breaking the Vicious Cycle” by Elaine Gottschall, and read it in full. This is a great starting point as it gives you background information on the diet and has some lovely recipes to try. It’s helpful to understand the science behind how the diet works so you can explain it to people, which brings me nicely to my next point. 2. You should also talk to your doctor before undertaking SCD and should aim to have their full support. Many doctors are skeptical about the diet at first. Due to a lack of scientific studies regarding it’s effects on IBD patients, SCD is still viewed with suspicion by the medical world. Under no circumstances should anyone ever come off any medication unless under your doctor’s supervision. It could be very dangerous. Many IBD medications require weaning rather than stopping abruptly. 3. 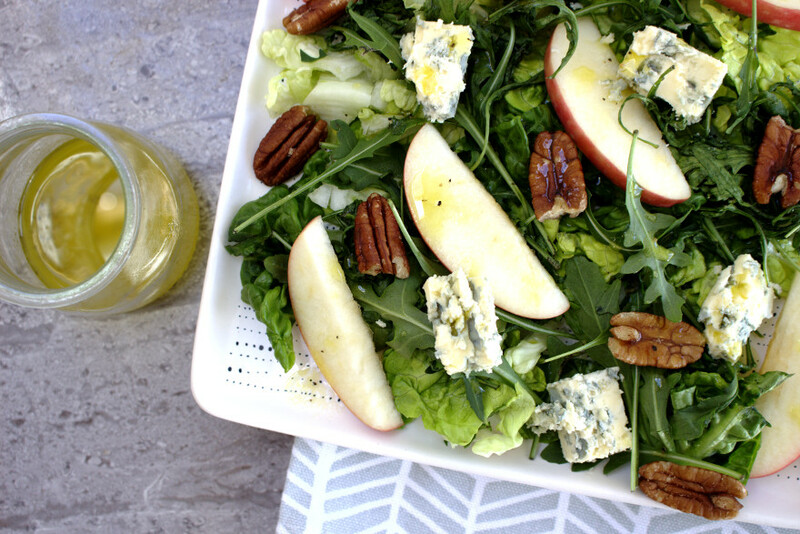 Start gathering the ingredients you need for the intro diet. The better prepared you are, the more likely you are to stick to the diet. As most likely you will not find all the products you need in local stores, order them online. I ordered the gelatin from Amazon (use either Great Lakes or Vital Proteins as they are good quality). 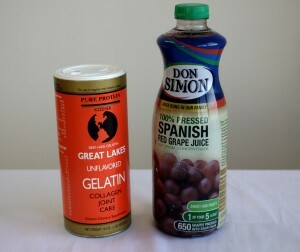 Don Simon 100% grape juice is suitable for making the grape gelatin and is available in Ireland and the UK also. In the US, Welch’s 100% grape juice has been verified and is scd-legal. 4. Make a meal plan for the intro diet. If you plan what you are going to eat for the few days you are on the intro diet, it will be less overwhelming. The above foods along with the eggs allowed in the intro diet will sustain you for the few days. Remember, that Elaine Gottschall says that quantity is not important. So, if you are hungry eat more of all the foods allowed on the intro to keep your calories up. 6. Stay within the limits of the intro diet as per Elaine Gottschall’s guidelines. It is not sustainable to stay on it for more than a few days. 7. Once you move beyond the intro diet, introduce new foods gradually. SCD Lifestyle is a great resource for information on how to properly start eating a variety of foods. Another good resource for introducing new foods is pecan bread’s list of stages. I used this a guide only but didn’t follow and didn’t follow the stages strictly. Instead, I listened to my body and observed my symptoms. I introduced new foods, one at a time, when I felt I was ready. The SCD community regards the “stages” as a controversial issue. Apparently, Elaine Gottschall herself believed there was no need to make a difficult diet even more difficult. I have to agree with that advice. 8. Keep a food diary. This is especially important when you begin SCD. When you begin to take note of new foods and your symptoms, you might be surprised at the foods that cause you problems. I was convinced I could tolerate tomatoes well and I thought onions were my enemy. Boy, was I wrong! There is no one size diet that fits all for inflammatory bowel disease so it’s really important to customise SCD for yourself. Just because a food is SCD-legal, doesn’t mean you can tolerate it. SCD lifestyle give good advice on this when they discuss the four horsemen. 9. It’s a good idea to see a dietitian when you start SCD so they can monitor your weight. My doctor was ok with me starting the diet provided I didn’t lose a lot of weight, which I didn’t thankfully! I agreed to see a dietitian every few months for the first year to make sure I was consuming enough calories. 10. The last point but certainly not the least is to eat everything in moderation. In my opinion, balance is the key to success with SCD. If you each too much fruit, too many nuts. too much yoghurt, you won’t do well. Eat a little of everything – except vegetables, you can eat LOTS of vegetables! It’s tempting when you start the diet to overeat the almond flour cookies or delicious fruity smoothies but try your hardest to exercise some self-control. Even now, two years on I won’t consume too many nut products or sugar (albeit natural). If I do overdo a food group, which let’s face it, happens sometimes – I give my body a rest for a few days. The Specific Carbohydrate Diet is by no means a quick fix. It requires perseverance, steely determination and a great amount of willpower. I had so many moments of doubt and frustration particularly in the first year and was tempted to give it up many times. What kept me going was reminding myself how far I had come in terms of Crohn’s symptoms, even if the progress was very slow. Don’t expect flares to disappear overnight. Remember, healing is not linear. You may feel like you’ve taken two steps forward then ten steps back at some stages but ANY improvement in your symptoms and overall health should be enough motivation to keep going. When the going gets tough, remind yourself how strong you are. You live with a chronic illness which takes strength and courage. You’ve got this!!!! Disclaimer: I am not a doctor and am in no way offering medical advice – just my own story. You should talk to your doctor before making ANY changes to your diet or to medications. I just found your blog and love how helpful it is! I was just wondering what your thoughts are about introducing foods. I am following the SCDlifesyle stages of introduction but feel like most food on stage 1 have bothered me in some way (gas, bloating, pain) and am only able to eat meat, butternut squash and the intro soup. Im trying to introduce slowly but don’t know where to go from here as I don’t want to necessarily move onto stage 2 veggies and fruits when stage 1 seem to bother me? Thanks for the kind words. I’m glad you find the blog helpful. I didn’t follow the stages strictly but I did introduce new foods very slowly. My early foods were : steamed/roasted butternut squash and carrots, SCD yoghurt (introduce gradually as in BTVC), steamed green beans, roasted mushrooms, meat, fish (especially oven baked salmon), tinned tuna. Obviously, just because I tolerate them doesn’t mean you will so take care and introduce slowly. Let me know if you need any more advice! I would love to receive your blog posts in my email. Is there a way to sign up? If you contact me through the website in the contact section and ask to be added to the list, I can add you. Thanks! I just discovered your piece on SCD. I was diagnosed with Crohn about 7 years ago, late in life, I will be 70 this year. The very interesting thing is that I have never experienced pain, although I have the other issues related to the illness, diarrhea, gases, etc. At the beginning I was completely asymptotic so I did not believe the diagnosis. However, after many tests I became convinced of it. Although I do not suffer from the difficult symptoms of Crohn (and take no medications), I have considered the diet also because I feel that it is a healthy way to eat. My question is whether there is a way to follow the diet but with some liberties, basically making it less restrictive? If yes, where would you relax it, and whether by doing that in essence one renders the diet ineffective? Thanks. Hi Erwin, you are indeed one of the lucky ones! My Crohn’s has already forced me to take medications. That said, I do think SCD is a really healthy way to eat and all of my family has a more healthy diet now (even those not on SCD). According to the expert, the late Elaine Gottschall, SCD is an all or nothing diet. The diet doesn’t work if you cheat or break out every now and then as you won’t be starving out the bad bacteria. Maybe you should look into Paleo which is not as restrictive as SCD as it allows some starches? Good morning, I am under’s care for my ulcerative Colitis. She has me on VSL#3 . It has helped get me remission, but after a couple of weeks in I noticed some stomach cramping again, I also developed very bad heartburn. When I discovered the Breaking the Vicious Cycle Book and read some of the Illegal food i took a look at the ingredients of the VSL. I’m thinking maybe the cornstarch in the probiotic might be irritating my stomach. If you don’t mind me asking, are you on any medication?? Hi Julie, I’m not a doctor so I can’t give you specific medical advice. I have heard some people do well with VSL but then according to the ingredients it is definitely SCD illegal. There are some SCD legal probiotics but I haven’t tried any myself.